7 Kids and Us: Celebrate Pizza Month with Tandoor Chef and Enter your Recipe to WIN! Celebrate Pizza Month with Tandoor Chef and Enter your Recipe to WIN! I have always loved Tandoor Chef. I buy their products all the time. We love the Naan bread, ecpecially with some butter and garlic. 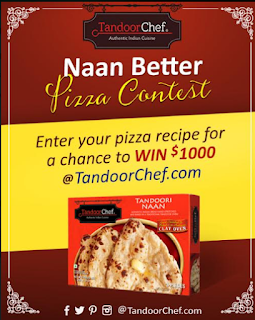 This month, Tandoor Chef is giving you the chance to win $1000! Just create a pizza recipe using Naan! 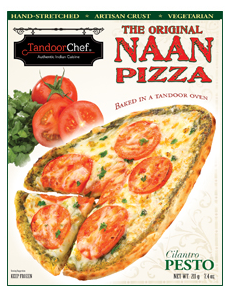 If you need some inspiration, Tandoor Chef has created their own line of pizza! With flavors like Eggplant and Cilantro Pesto you are sure to find one you love! The contest is only open for a limited time, so hurry and get your recipe in! You can submit your recipe on Facebook.